I’m sure you’ve heard of the events happening in Texas right now. Houston is currently seeing catastrophic levels of flooding due to the non-stop downpour of rain from tropical storm Harvey. So far, 5 people have been reported dead, with several more injured…and thousands have been forced to evacuate. But as these people pack their bags and most prized possessions, somehow, a few of them forget to take their animals along with them. 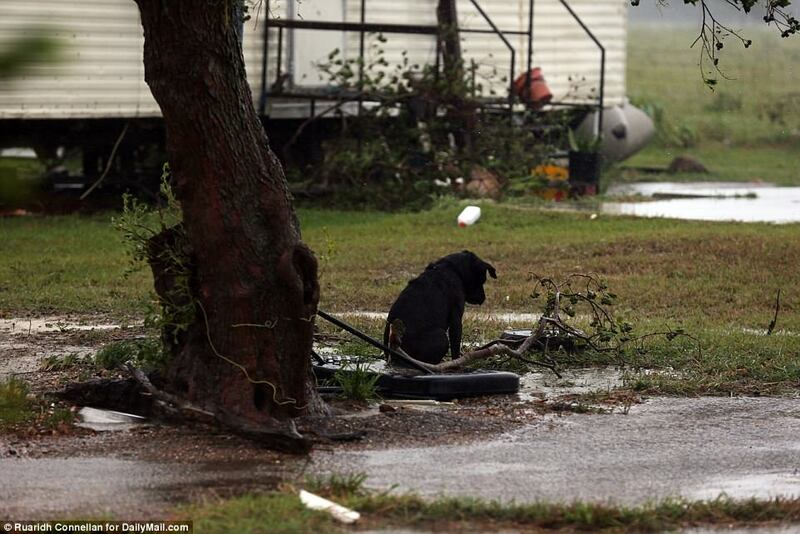 As you can see from these heart-wrenching pictures, dogs are being left behind to fend for themselves in what looks like the worst flood in the history of the Houston area. Officials in Texas have repeatedly warned residents about leaving their pets and livestock behind, yet despite these warnings people seem to be too concerned with themselves to notice their pets. 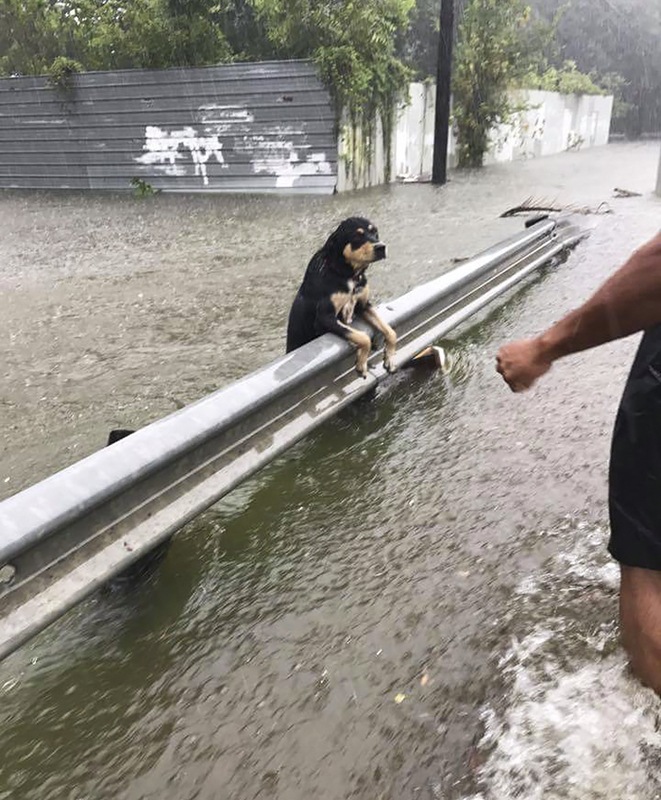 One dog was spotted holding onto a road barrier with all his might, while a newly formed river of rain tried to carry him away. Horrifyingly, others have been seen chained to trees and poles in areas that have received over 10″ of rain in the last day. 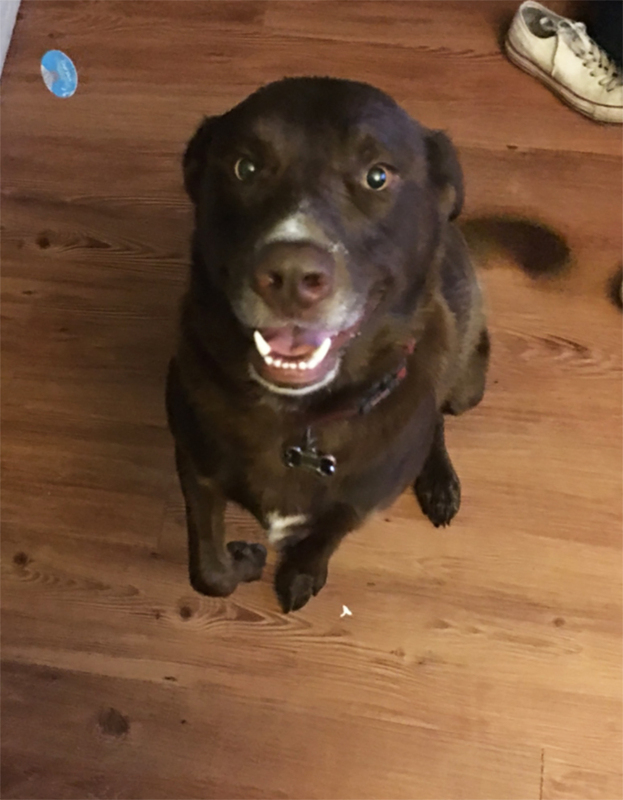 “I promise you, that I will hold anyone accountable that unlawfully restrains their dog in extreme weather conditions,” says Chief Stephen Carlisle of Houston. “Dogs are your family members too.” We couldn’t agree more. Our thoughts are with those who are affected by this storm, and our hearts go out to every being (man and animal alike). 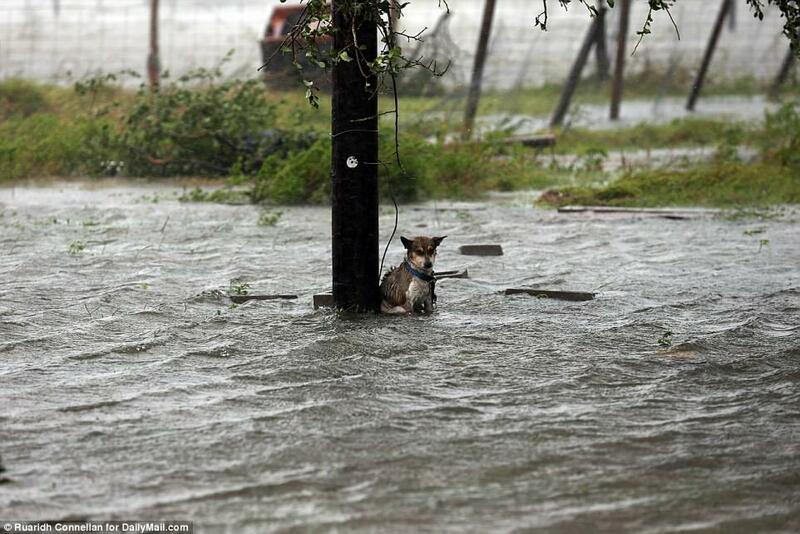 This dog was trapped by a fast river of rain, but was happily rescued by a loving human. This dog was left behind, but a loving neighbor rescued it. We certainly understand how people could be in a rush and under a lot of stress trying to deal with this sort of catastrophe, but there is no excuse for leaving a family member behind. And our pets are certainly family. If you see a stranded animal, please contact the proper authorities and alert them- if it is in immediate danger, then do the right thing and rescue it yourself.